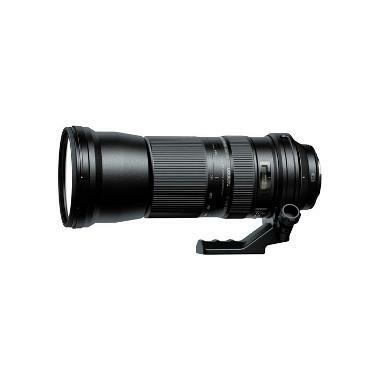 The Tamron SP 150-600mm f/5.6-6.3 Di VC USD Lens for Canon is a versatile telephoto lens designed for both full frame and crop frame sensor DSLR cameras (please see notes section for important compatibility details). The 4x zoom covers a standard-to-super telephoto range and comes equipped with Vibration Compensation Image Stabilization and a fully rotating and removable tripod collar. The Ultrasonic Silent Drive autofocus is quick and precise and the linear pattern zoom and focus rings are comfortable to work with. Lens groups are specifically designed to minimize excessive movement and helps keep the lens relatively lightweight. This lens is suited for sports shooting, wildlife/nature photography, and field events. The 150-600mm was produced before May 11th, 2015 and does not have the firmware update needed for compatibility with Lens Aberration Correction, AF in Live View, or Panning Shot functions.